It’s not entirely clear what spurred Trump’s sudden tweets in support of next-gen cellular communications standards. 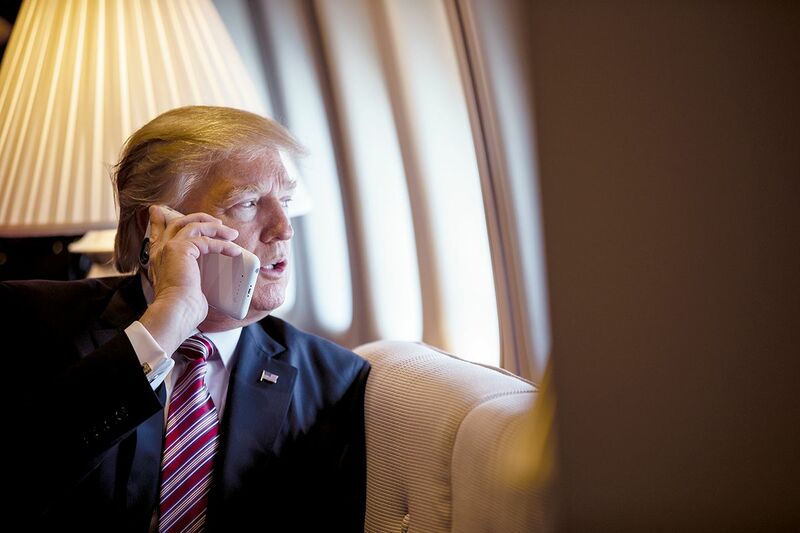 Perhaps Fox & Friends mentioned the announcement of Samsung’s new Galaxy S10 5G, and Trump was dismayed that Verizon had no live 5G network on which the device could actually function in the United States yet. Or maybe the president’s phone got AT&T’s 5G E update, reminding Trump that US carriers are relying on cheap tricks to convince customers they have faster speeds. The tweets ultimately go back to Trump’s concerns that Chinese companies like Huawei will take the lead on 5G. There were reports last year that the US government even considered developing its own nationally run 5G service, largely out of concern that “China has achieved a dominant position in the manufacture and operation of network infrastructure.” That plan was quickly quashed due to it being entirely nonsensical. Confusingly, Trump’s tweets seem to be at odds with actual US policy. Trump tweeted, “I want the United States to win through competition, not by blocking out currently more advanced technologies,” which conflicts with reports that his administration has considered blocking Chinese companies from rolling out 5G equipment in the United States. Adding to the bewildering nature of Trump’s tweets is his demand not just for US companies to develop 5G networks as quickly as possible, but 6G, a networking specification that doesn’t remotely exist even on the most basic, theoretical levels. Since 5G technology is still on the cusp of existing in a practical way, it’s unlikely that 6G — whatever that is — would enter the conversation for years. Although, maybe that’s Trump’s point. He might just want US companies to get an impossibly early start to make sure that they’re not left behind on the next-next-generation thing.